Father’s Day, Health Update, Interview with Selma James, and Albert Woodfox – Free Russell Maroon Shoatz! 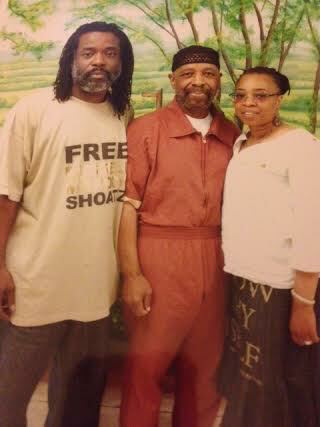 Welcome back to our monthly e-mail blast on the status of U.S.-held political prisoner Russell Maroon Shoatz, and thanks again for your ongoing interest and support! 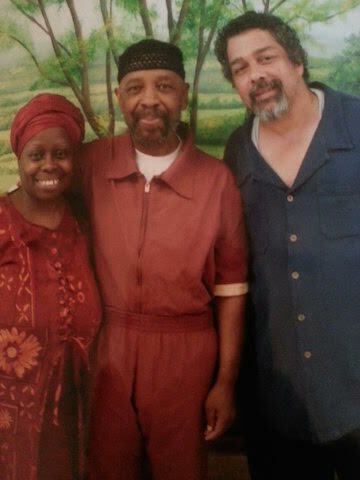 This month, we’re pleased to bring you the latest update on Maroon’s ongoing treatment for prostate cancer, a special Father’s Day note from Maroon’s daughter Sharon Shoatz, the first installment of a three-part interview with human rights champion Selma James, and an update on the status of longtime political prisoner Albert Woodfox of the Angola 3. The campaign to free Maroon has some exciting events and actions brewing for the summer months, so please stay tuned for more info and feel free to be in touch with your own ideas and connections to support our efforts. Please also consider contributing to our ongoing fundraising for Maroon. No amount is too little, and all contributions are appreciated. My primary report is that I have continued with the radiation therapy, at the same cancer center, for the entire month of April and into the first day of May, 2015. Furthermore, there is movement on another major health concern regarding my right eye. In addition to weathering common symptoms of the treatment, the fatigue is an entirely different matter! While both my oncologist and physician’s assistant or nurse practitioner have weekly examined me after the sessions, and offered advice on what foods to eat (which I’ve earnestly integrated into my treatment, in addition to what I’ve read, as well as my previous acquired knowledge concerning nutrition), the fatigue is still constant. I often feel like I cannot do much more than drag myself out of bed. And I have been sleeping more now than at any time as far back as I can remember! Let me again, thank all who continue to extend support to my family and me, and let me assure everyone that it is not lost on me that my situation and person is a small matter in these heady times; times and events that are truly historic in regards to how countless thousands are standing up to oppression in ways that even have the potential to make the celebrated 1960s seem little more than a dress rehearsal in order to save ourselves from the maniacs who are bent on destroying our very planet! While driving on the New Jersey Turnpike in route to visit my father, my thoughts wandering endlessly about the tasks and responsibilities one is charged with on any given day, I began to sing along with the song “A Family Reunion” by the O’Jays that was playing on the radio. As the song came to the lyrics referencing the family being the solution to the world’s problems, and then poignantly describing each member’s role in the family, I realized that I couldn’t recall ever seeing, touching, or even speaking the words “Happy Father’s Day” to my dad on the actual holiday. Having turned 50 years young this month, I can finally say that on Sunday, June 21, 2015, I spent a wonderful Father’s Day with my dad Russell “Maroon” Shoatz, my brother Russell the III, Dr. Kim Holder, and my name sake, aunt, and minister, Sharon Joy Shoatz-Mayazi. I would like to devote this experience/revelation to all my fellow cubs who have experienced similar or very different revelations about their parents, be it their mother or father. I invite others to share and post their experiences and revelations as they relate to being the sibling, wife, husband, mother, father, daughter, or son of an activist. I’m sure we all have so much to reveal and so much to give. Selma James, writer, activist, co-founder of the International Wages for Housework Campaign, and coordinator of Global Women’s Strike, is interviewed by Raphael Cohen, for the campaign to free Maroon, in Oakland, California, April 25, 2015. Part 1 of 3, focusing on how James first learned about Shoatz’s case, imprisonment, and ideology, as well as her thoughts on coalition-building across various sectors of social justice movement work. 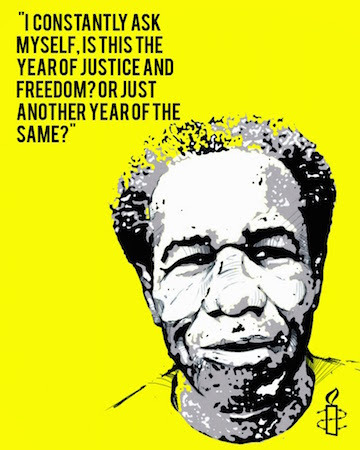 A federal judge in Louisiana ordered political prisoner and former Black Panther Albert Woodfox immediately released from prison last week, prohibiting the state from attempting to prosecute him for a third time for a 1972 homicide he was framed of. The order was short-lived, however, as a three-judge panel for the Fifth Circuit Court of Appeals placed a stay on the ruling in response to an appeal by the state of Louisiana. The matter has been assigned a briefing and argument schedule. Woodfox’s release from prison would mean an end to his 42 years of solitary confinement. Woodfox’s permanent solitary confinement within the prisons of Louisiana was justified by Louisiana State Penitentiary Warden Burl Cain on the grounds that if he were released to the general prison population he would “practice Black Pantherism”. Similarly, documents obtained in Maroon’s legal challenge to his own long-term solitary confinement confirm that prison officials held him in isolation due to his continued affiliation with “radical” and “militant” groups, and his effectiveness as an organizer. Woodfox and Maroon have both been subject to unfathomable hell by the state in order to repress their leadership as well as make an example of those who dare to fight for the liberation of their people.